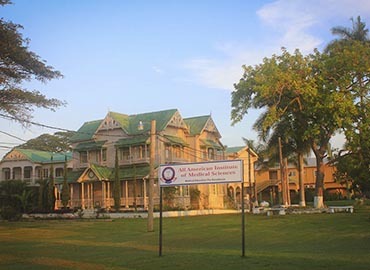 All American Institute of Medical Sciences (AAIMS) is based in Jamaica, Caribbean Island, officially established in 2009. 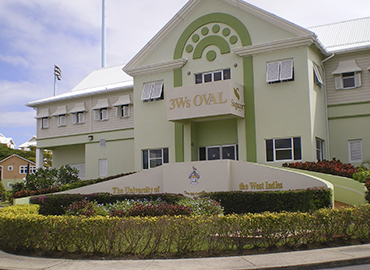 It was initially authorised by the Government of Jamaica and later in 2011; was officially chartered by The Caribbean Accreditation Authority for Education in Medicine and other Health Professions (CAAM-HP) was withdrawn after July 2016. And AAIMS is in the process of preparing and submitting documentation in 2019 for Full Accreditation & Site Visit of the Panel. AAIMS is approved by Medical Council of India (MCI) that allows Indian students to practice their medical career in India, on the completion of MD degree & qualifying MCI Screening Test. 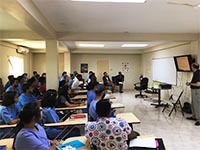 The university started its educational journey of providing medical education in Jamaica, in the year 2011 and in 2014, officially graduated a batch of young students. The university primarily aims to provide advanced medical education which will help in creating excellent doctors for the world. 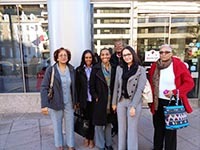 It provides expertise in all the respective fields of MD in Jamaica. AAIMS is successfully serving its students with quality medical education and services. The university provides well-furnished accommodation with free internet service to their students. The students are offered with every amenities required for a homely stay during the tenure of their course. A student can acquire a secured space, both on campus and off campus. In AAIMS, a student is provided with everything that is required for a stable academic journey. A student is given proper counselling on personal life, academics, and professional outlook. They have also built a student-faculty relations committee for a healthy relationship between a student and faculty. The university also designs student directory, handbooks, and elective catalogue. Black River- the capital of St. Elizabeth Parish, Southwestern Jamaica is a centre of environmental tourism & a gateway to the Treasure Beach resort area. Black River is believed to be one of the oldest European towns in Jamaica. In 1893, Black River was the first town to be lightened by electricity. The major economic sectors of the Black River are agriculture & tourism. The main export goods wearing apparel, alumina, mineral fuels, coffee, sugar, bauxite, etc. Black River has a hot, windy and partly cloudy climate throughout the year. Major attractions of Black River are Back River Anglican Church, Bamboo Avenue, Treasure Beach, Blue-fields Beach, etc. Transportation in Black River includes taxi, minibuses, rails and ship. Famous dishes of Black River is Ackee and salt-fish, Calla-loo, Jamaican patties served with Red Stripe beer, Calla-loo, etc. Famous restaurants near Black River are Cloggy's on the Beach, Pelican Bar, Pelican Grill, Holland Bamboo Restaurant, Las Vegas Cafe, etc.